If you experience a dental emergency, call Exquisite Smiles to get the appropriate advice and instructions. We keep some appointments free for dental emergencies, and will always aim to see you if possible. Children may have specific requirements in a dental emergency situation, visit our page on children’s dentistry for more information. 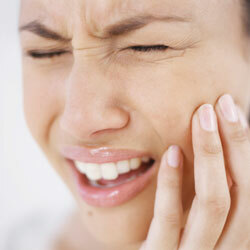 At Exquisite Smiles we understand that a toothache can be extremely painful due to the swelling inside of the tooth. Don’t put off making an appointment as the sooner we can see you the quicker we can help provide you with relief. Have the injured person hold the displaced tooth in its socket. If the tooth belongs to a young child, place the tooth between your cheek and lower gum or in a glass of milk. Keep in mind that prompt action is always the name of the game when it comes to a dental injury. It’s always better to err on the side of caution and seek the advice of a professional whenever an accident or injury involving the teeth or gums occurs! Time is of the essence, so call us immediately so we can attend to your emergency as soon as you arrive at our office!